Speeding is a dangerous behavior and can significantly increase the chances of an accident, especially if you are driving too fast for the road or weather conditions. When a car is traveling at a very high speed, it takes longer to stop because of increased momentum and is more likely to go out of control. Speeding vehicles are at a high risk of rollover accidents and collisions that leading to serious and often fatal injuries. 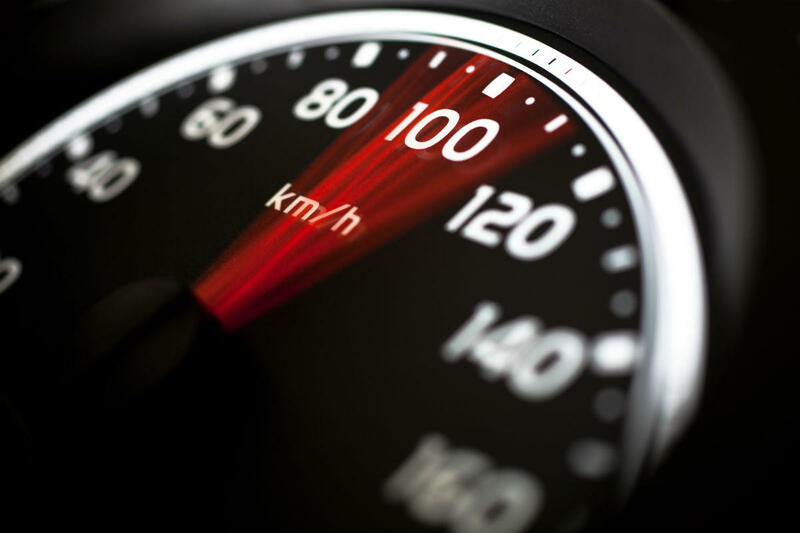 In short, speeding is responsible for a high percentage of car accident fatalities. Unfortunately, teens are the group that is most susceptible to getting injured or killed in speeding related car accidents. Teen drivers have limited driving experience and are not fully capable of controlling a high speed vehicle. This means, teens are more likely to get injured or killed if they choose to driver too fast for the road, traffic, or weather conditions. Recently, Governors’ Highway Safety Association publish an in-depth report about the risk of speeding for teenage drivers. According to the GHSA report on teen driving, the percentage of speeding related teen accident deaths have steadily increased from 2000-2013. In 2000, of the total fatal teen accidents, 30 percent were speeding related. However, in 2013, the figure has increased to 33 percent, meaning 33 percent of the teen car accidents that cause a fatality are speeding related. Even though the total number of teen accident fatalities are on a decline, the numbers suggest the percentage of speeding related deaths is increasing. Furthermore, car accidents remain a leading cause of death for young people, despite the fact that the number of fatal accidents involving teens have come down over the last one decade primarily because of public education campaigns and better safety regulations. With more than 33 percent of teen accident fatalities involving speeding, thousands of teens are dying every year because they driver or ride a car that is traveling too fast. It is a tragedy that these deaths are preventable, but they still occur and at an alarming rate. Some suggest that graduated licensing laws that restrict night driving and necessitate traveling with fewer passengers can go a long way in preventing such accidents. Parents have to play a huge role in encouraging their teens to make sensible driving choices, which includes driving within the speed limits. It is important to understand that parents are the first role model for their kids, and if they indulge in irresponsible driving behavior, so will the kids. The parents must educate their kids on safe driving habits, and set strict rules for them. Parents must tell their kids that they ought to abide by the traffic rules and speed limit, or else they may lose their right to drive the car. If you or someone close to you has been injured by a speeding teen, you must discuss your case with a competent St Louis car accident attorney. At attorney at our law office can guide you through the claims process, and help get the compensation that you deserve.